Need to store water while camping, hiking or going on long drives? Want to have the ability to store water as part of your emergency preparedness kit? This collapsible water jug has you covered! 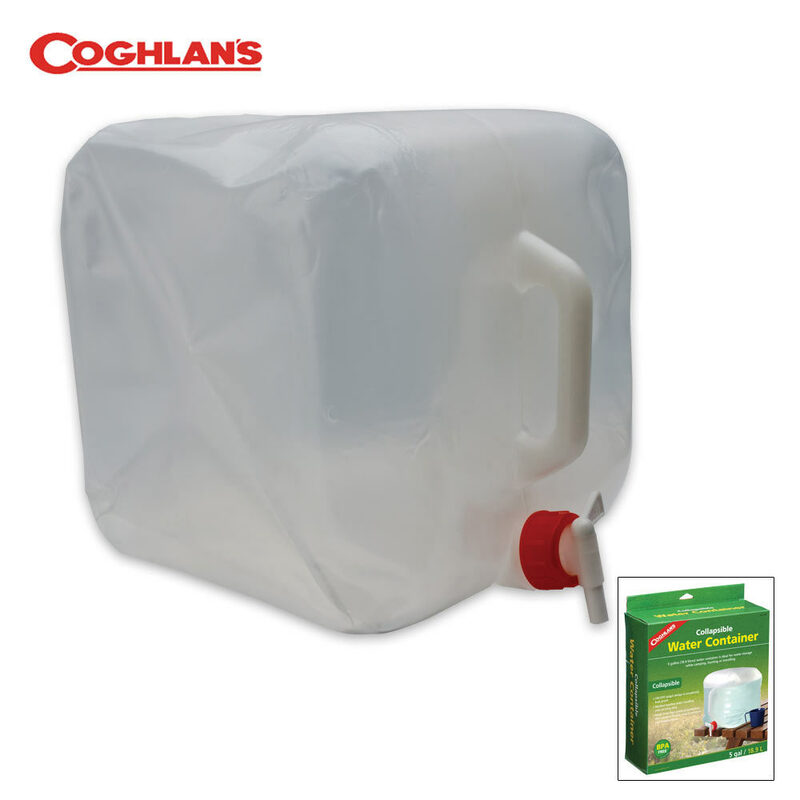 Constructed out of FDA food/water approved plastic, this water jug is extremely convenient and mobile. When empty, it collapses and folds up small enough to keep in your bag, car, or home emergency kit. Ready for use? Just unscrew the top and pour in up to 5 gallons of water. On/Off spigot removes easily for filling. Opening is large enough to accept ice cubes. Heavy-duty polyethylene construction resists cracks. Up to 5 gallon capacity. Molded handle for easy carrying. Folds flat for easy transport and storage. Collapsed measurements: 12 in. x 6 1/4 in. x 2 in.